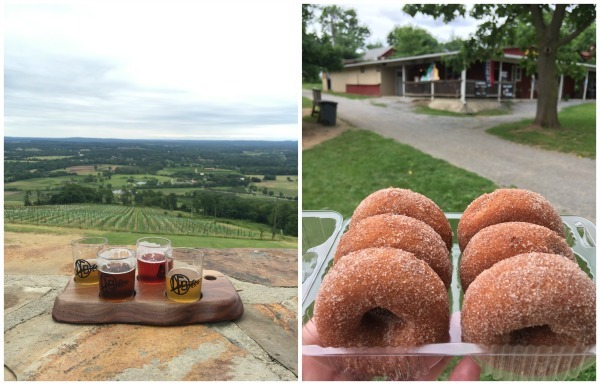 The Shenandoah Valley of Virginia and West Virginia is just a short drive for DC-area families, but it is BIG on amazing summer fun! We DMV parents may know that heading West to Virginia is full of fun for our families, but where should we begin? What are the best outdoor, historic, entertainment and foodie-focused offerings available between the Blue Ridge and the Allegheny Mountains? Go Blue Ridge Travel Kids Trail resources are a great place to help us find the best day-trip and weekend warrior activities to share with our kids. 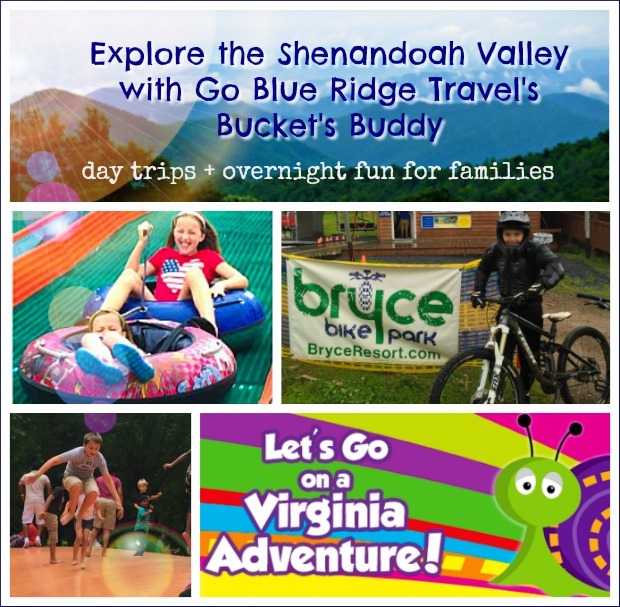 From our personal experience following the Bucket’s Buddy recommendations this past weekend, this free online guide and travel game is a great way to choose new sights to visit in the Shenandoah. My kids liked the “earn badges” mobile phone game concept as incentives to charge on to a new educational and fun stops on the trail. After choosing which event theme your family is going to pursue you are given four to five activities that you can complete to win a prize, as well as be entered into the FREE Family Weekend Sweepstakes drawing. At each stop families search for a magic word through scavenger hunts, hikes and kid-focused fun. There are yummy and exciting prizes for the kids on-site at many of the stops, too! 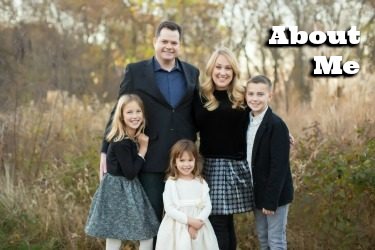 As parents, Chris and I liked how the website curated for us those places in which families will truly have a great time. Sometimes travel books and blind Google searches can give us too many options, and then we are unsure as to how well the two-hours-away adventure will truly work for our family. Bucket’s Buddy got the kids involved in choosing the places we would visit and learning about our weekend warrior destinations. 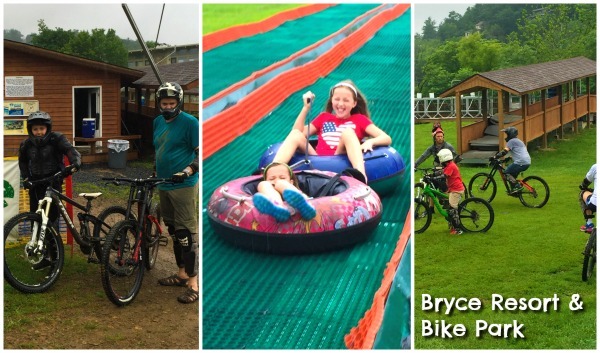 Bryce Resorts’ top notch, custom-designed bike park and expert instruction can get everyone on the bike and cruising the down the hill! The Park has eight lift-accessed trails ranging from Beginner to Advanced, some of which are over 2 miles in length. From Bryce’s Terra Method-trained and certified instructor Derek, Charlie and Chris received personal, expert instruction for their beginner (Charlie) and intermediate (Chris) levels. With Derek they honed their skills on the progressive skills park before heading up the bike lift for a beginner run. Charlie was fitted with body armor in addition to a correctly-sized bike and helmet for extra safety. He flew over his handlebars one time going down the hill but did not get a scratch. He loved it! Bryce’s beginner day package for kids and adults interested in trying mountain biking for the first time is one of the few of its kind. The “Find Your Bearings” Beginner Package includes your day lift ticket, all-day bike rental, insurance waiver and two hour instruction. If you have your own equipment you can purchase a simple day pass to use the lift and ride the trails. 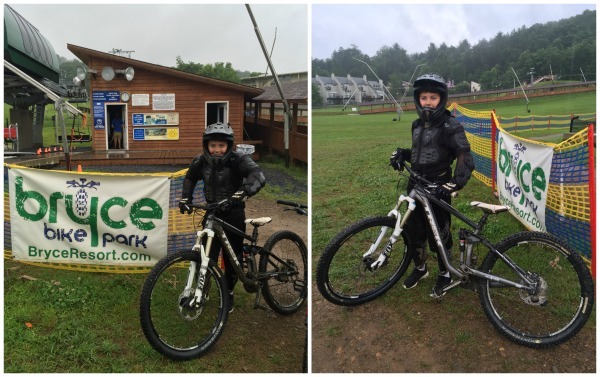 While Chris and Charlie hit the bike park, Eve and Alice hooted as they experienced summer tubing. 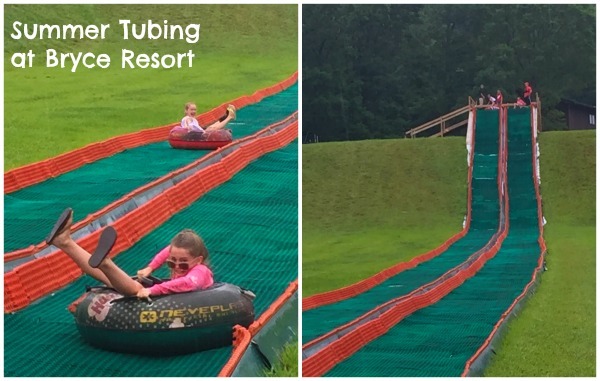 Kids as young as age four can enjoy the tubing hills that are covered with snow in the winter thanks to slippery plastic. Even in the rain, the girls loved it (the wet surface gave them more speed!). Even the tube lift was lots of fun for the girls, and they had a fab time making friends with other girls and going down in linked groups of two or three tubes. Although we were not able to try these activities due to weather, we will be back to enjoy the Euro Bungy Zone of bungees and trampolines for high bounces and flips and the rock climbing wall of 24 feet of interchangeable rock faces. Bryce also has disc golf and mini golf, an 18-hole championship golf course, ziplines (for ages eight and up and at least 70 pounds) and water activities on Lake Laura. One thing we did get to try was the restaurant, the Copper Kettle Restaurant and Bar. The kids loved their burgers, fries, onion rings and chicken fingers. Chris and I chilled out with wrap sandwiches and brews on tap. It was a fabulous lodge lunch. We cannot wait to visit Bryce for the day, or even for a weekend, again this summer and fall. It’s not just for skiing in the winter, it’s a four season resort! Head to this Bluemont, Virginia farm and you and your kids can play all day long and never be bored. The Farm Market and Play Area are open daily so kids can pet and feed the farm animals, jump on the jumping pillow, explore the rope maze, play on several playgrounds, swing on the rope swings, climb on tractors, dig around in the corn bin and that’s just like half the list of activities. You can pick berries. Ride the cow train. Catch-and-release fishing in the pond. Putt-putt golf. Gem mining in the sluice. There are also special family celebrations on weekends! A pass is just $8 for kids, $10 for adults for an entire day of fun. And there’s a Roosterant on-site for pizza and yummies, as well as nearby farm-owned and affiliated Dirt Farm Brewery and Bluemont Vineyard, n which your Great Country Farms wristbands get you discounts on sips and bites. Score! Head back in time when you head to this two screen drive-in theatre, offering first run movie double features. The theatre is currently in it’s 60th year of operation and is the only remaining drive-in theatre in the DC metro area. 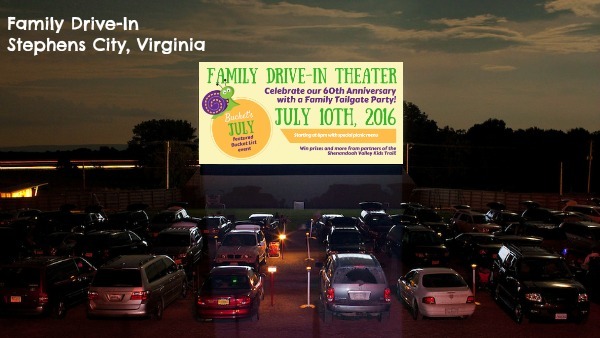 The Family Drive-In is located in Virginia’s Shenandoah Valley, just 7 miles south of Winchester, Virginia on I-81! (Exit 307-Stephens City). Sunday, July 10th, 2016 is the Family Tailgate party at The Family Drive-In. Starting at 6 p.m. there is dinner with the special picnic menu, featuring hot dogs, hamburgers, snow cones, cotton candy, funnel cakes, and more from the theatre concession stand. After dinner families can enjoy face painting, bounce houses, karaoke, volleyball, corn hole and more. Of course, the games have prizes including tickets to Bucket’s Buddy attractions! 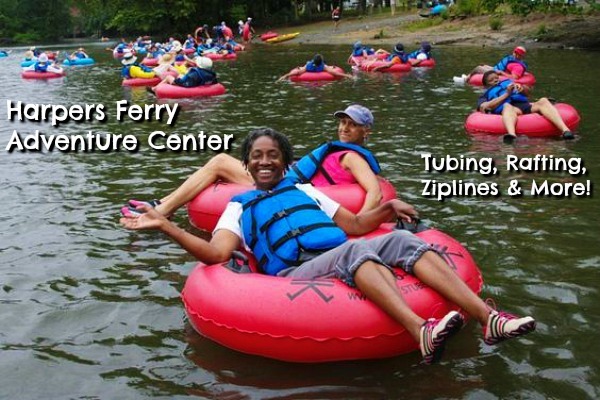 Harpers Ferry Adventure Center on the VA/WV border offers tubing (both flatwater and white water), whitewater rafting, ziplines, ropes courses, canoeing, kayaking, segway tours, fishing, hiking, camping and more. HFAC provides picnic areas with tables, charcoal grills, and lazy day hammocks. During summer months live bands perform on weekends. zipline canopy tours open to kids seven years old who are at least 70 lbs. canoeing passengers can be five years and weigh at least 50 lbs. Check out all the activities at Harpers Ferry Adventure Center. 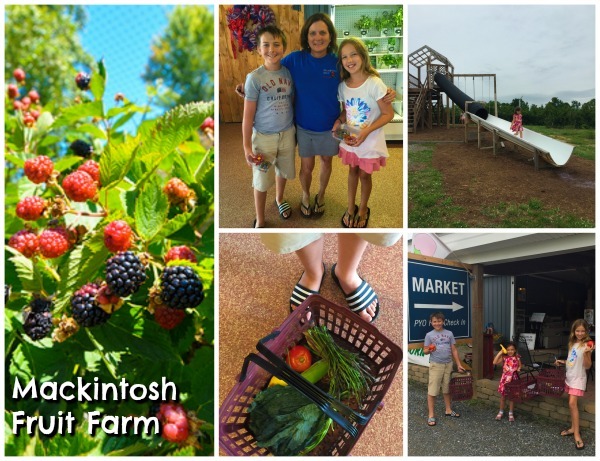 A delish pick-your-own fruit farm with absolutely free activities for the kids? You have to hit homey Mackintosh Fruit Farm for the fun on the farm on your Bucket’s Buddy trek! The kids had a blast meeting owner Lori Mackintosh and following the Bucket’s Buddy scavenger hunt around the farm to earn their magic word. They also received special apple cider donuts – two each! – for completing the challenge. The kids also had fun playing on the playground and frolicking with the farm dogs. We will be sure to be back for berry picking. No admission fee beyond the weight of your pickings! This newly-remodeled Holiday Inn was a beautiful surprise and is the ideal location if you would like to spend more than one day in the Shenandoah Valley. The hotel is known for being one of the nicest in the area. We had an open suite with a mountain view that accommodated our family of five comfortably. In fact, we plan on staying there again later this month when we attend a family event. We also loved how the on-site Houlihan’s restaurant offers kids eat free (up to four free meals per paying adult!) for hotel guests. We had a great dinner and a comfy night’s sleep. Check out more ideas for your Shenandoah Valley adventuring and excursions on the Bucket’s Buddy Adventures page. Disclosure: Go Blue Ridge Travel and their Bucket’s Buddy partners provided us with admission to the attractions, our one-night hotel stay and two of our family’s meals. All other expenses covered by me and my family. No additional monetary compensation received for this review. Loved having your family visit us. Looking forward to having you travel in the valley again! Thanks for a great blog! 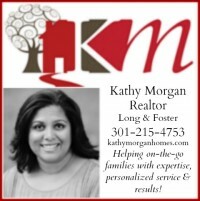 Nancy, Owner and Founder of Go Blue Ridge Travel and the Kids Trail. The pleasure was ours! My former-Virginian husband, three Maryland kids and me, a native Californian all learned so much and had a blast!